Cardiac stem cell therapy is a promising approach to repair an injured heart. Noninvasive imaging can be tremendously useful for characterizing its therapeutic mechanisms and efficacy. In this chapter, we summarize the roles of various imaging modalities in assessing cell fate and cardiac function following stem cell therapy. 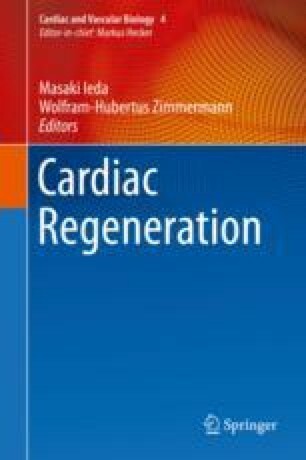 The advancement of these imaging technologies is crucial for the full clinical translation of cardiac stem cell therapy. We thank funding support from American Heart Association 13EIA14420025, National Institutes of Health (NIH) R01 HL123968-03S1, NIH R01 HL133272, NIH R01 HL132875, NIH R01 HL130020, California Institute of Regenerative Medicine (CIRM) DR2A-05394, TR3-05556, and RT3-07798 (JCW), American Heart Association 17SDG33460212 (XQ), and NIH T32 EB009035 (IYC).